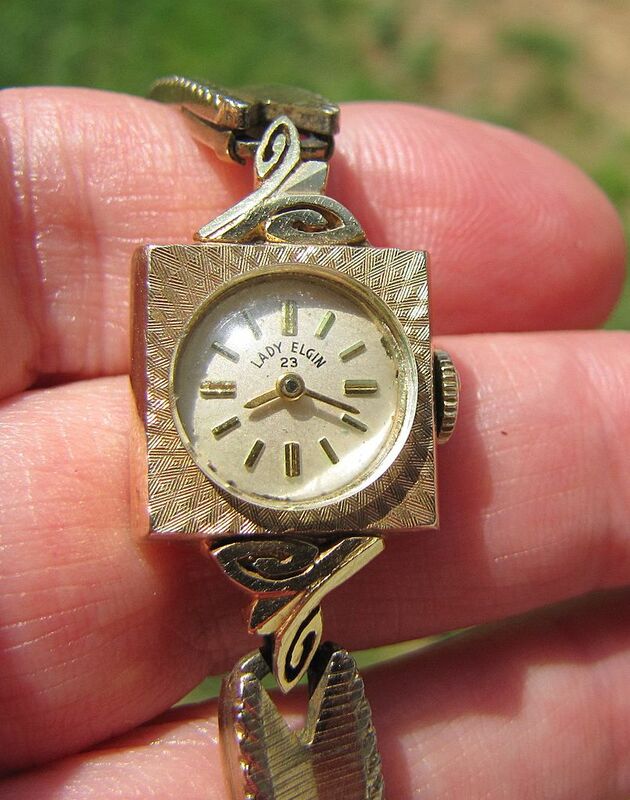 Vintage, 14 K solid gold Lady Elgin 23 watch. 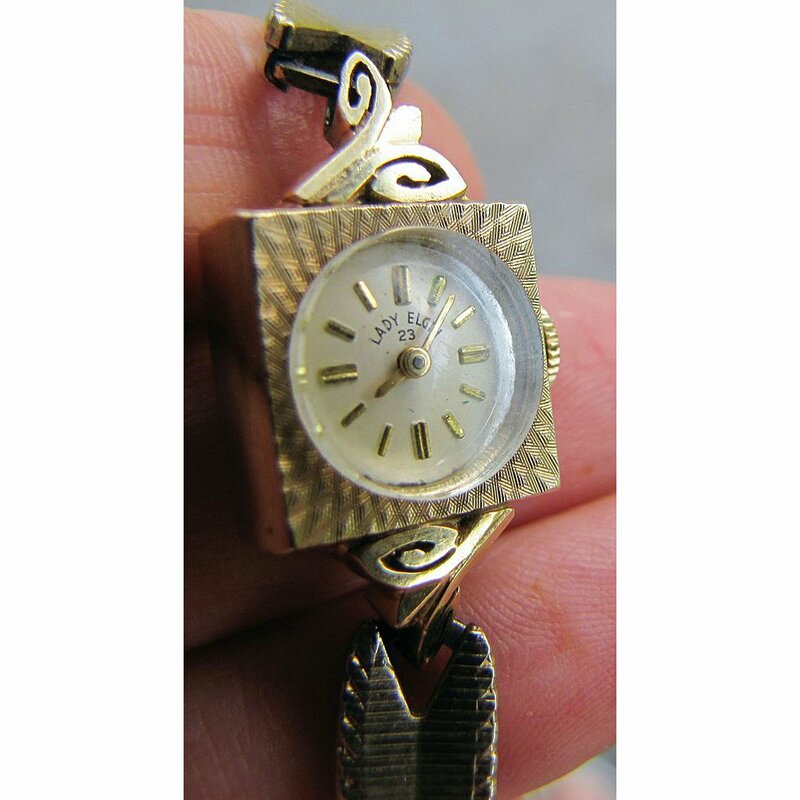 The watch has an unusual square shape with fancy, scrolled gold lugs. There is a design on the square area also. 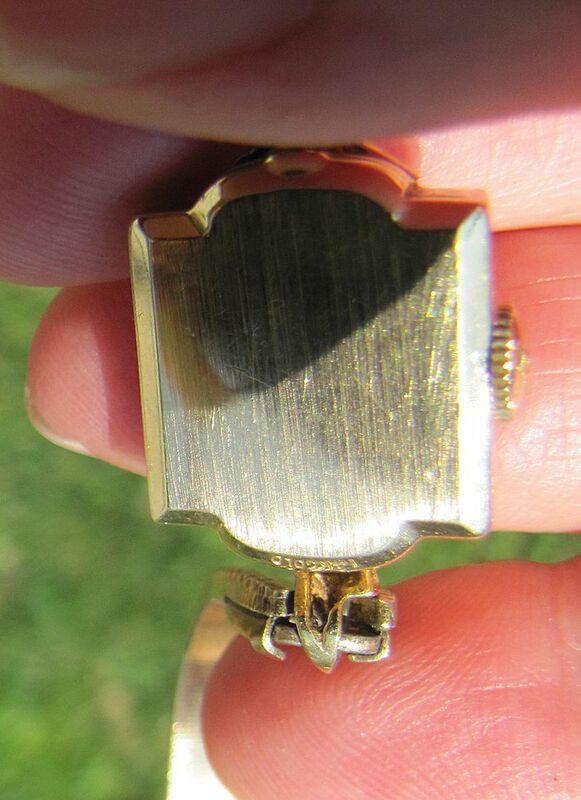 It is thick and marked 14K Gold on the back. 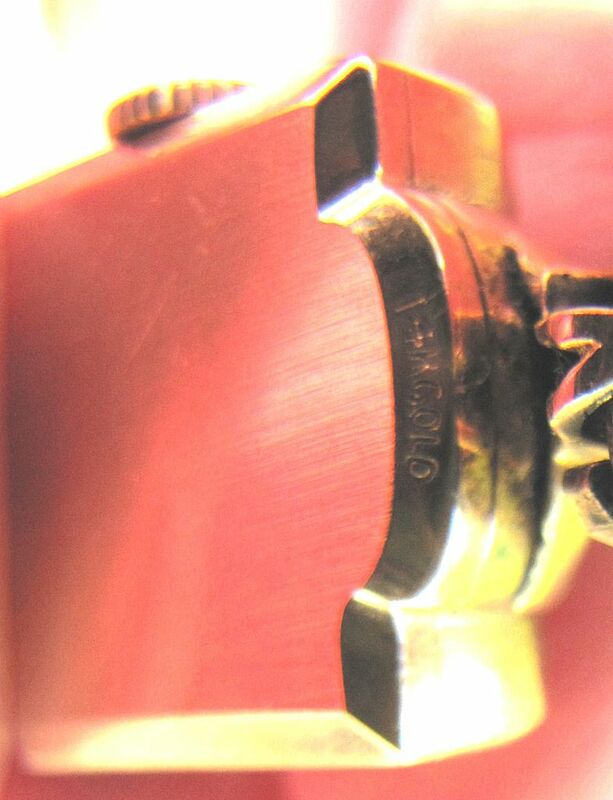 Elgin is also marked on the crown. 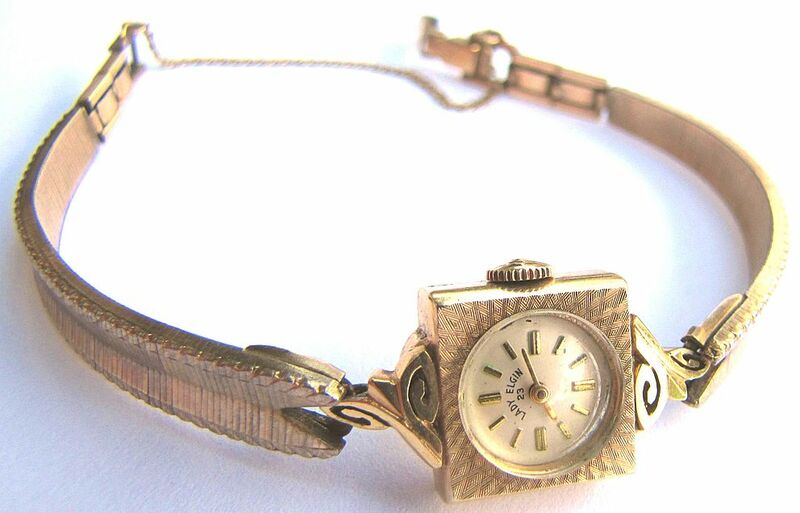 The square part of the watch, including the gold decoration or lugs measures 1 1/4'', with the square part measuring 9/16''. The thickness is 1/4''. It is a manual wind watch and does work. 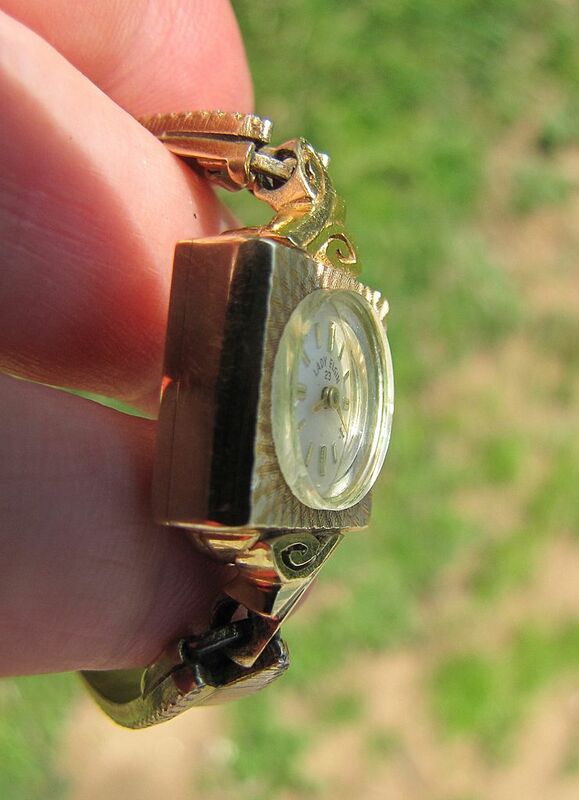 The band is gold and marked Kreisler USA 1/20th 10K G.F and there are extra links which can be removed for sizing. I believe all parts are original.